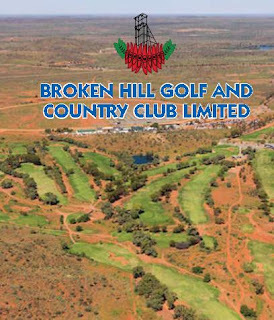 Considering Broken Hill’s history with the famous mining company BHP (Broken Hill Proprietary Company Limited) starting its famous life in the city in 1885, it seems very fitting to hold the 2012 Resources and Energy Investment Symposium (RES2012) at the ‘Hill’. After the inaugural event in the city in 2011 where there were 500 delegates, the 2012 Symposium kicks off on Monday 21st May and runs until the 23rd May. The venue is the Broken Hill Civic Centre, 60 Chloride Street, Broken Hill. RES2012 “is a not for profit event which directs all event profits towards bursaries for students who are keen to join the industry but who may need support to enable them to continue their studies.”* There will be an inaugural Symposium Scholarship awarded at the 2012 Symposium. In the lead up there will be the Great Australian Outback Golf Challenge on Sunday the 20th May, which will be held at The Broken Hill Golf and Country Club (BHGCC), Racecourse Road, Broken Hill. For non golfers and golfers, there will be a late afternoon BBQ at the 19th hole area. A 2.5 day symposium with key industry players, private investors and world class international speakers. Learn more about the resources and energy sector and how it impacts Australia’s future and the global economy. On Tuesday 22nd May there will be the Gold Cup Camel race followed by the Runge (the Symposium’s major sponsor) Wild West Dinner, held at the Broken Hill Racecourse, 1a Racecourse Road, Broken Hill. The whole event sounds a lot of fun and of course highly informative as well. I’d love to be there but I can’t make it. Maybe next year.